The Chase is a 5 reel, 10 payline video slot. It’s pretty easy to get started. To the left of the screen, you can adjust your total bet per spin. This can range from £0.01 to a whopping £50. In the top left corner is the setting menu, where you can fine tune everything until you’re happy. Of course, there’s also an Autoplay button when it’s all as you want it. The highest value symbols are the Chasers: the Governess, the Beast, Dark Destroyer, the Sinnerman, and the Vixen. It’s then followed by the usual Ace, King, Queen, and Jack symbols. The Chase logo is the Scatter that will unlock bonus rounds, and there’s also a Wild symbol that will substitute all other symbols (except for the Scatter) to form a winning payline. 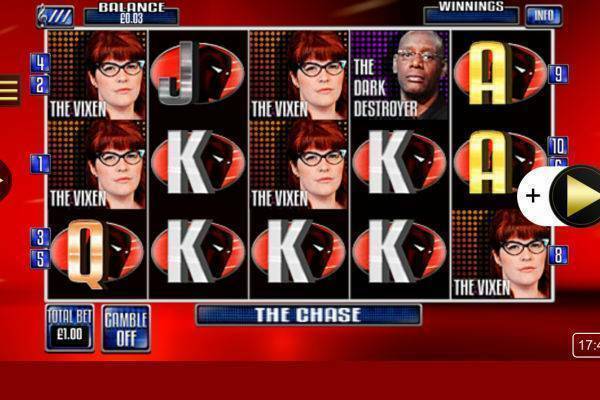 The Chase is a video slot with a fixed jackpot. The highest prize that can be won with a single spin is £25,000. That’s when you spin 5x the Governess onto a winning payline. The next biggest prize is the Beast – 5 of him will get you £1,250. With additional wins from the bonus games and gamble feature, there could be some pretty sweet wins here. If you spin 3 of the Chase symbols (Scatter) on 3 out of the 5 reels, then you will activate the special two-part bonus round. In the first part, aka the Head to Head round, you will have a 7 position trail and 3 cash prizes to select from. If you manage to escape the Chaser and get to the last position in the trail, then the prize is yours and you move onto the next round. In the next round, the Final Chase, there are 10 positions. From the moment you hit Play, you’ll have 30 seconds to make it to the last position. Once the timer ends, you’ll be awarded the value in the Cash Pot, and if you make it to the 10th position, then the value in the pot is doubled! There’s also a Gamble Feature, which by default is turned off. If you are feeling extra lucky, turn on the feature and you might multiply your winnings! The Chase keeps with the look and feel of British TV quiz shows. That’s to say it isn’t the most innovative design we’ve seen. However, it’s still smart and properly packaged. The sharp red that you’re familiar with from the show, as well those ruthless Chasers and their cold stares are part of the fun that decorates the reels. 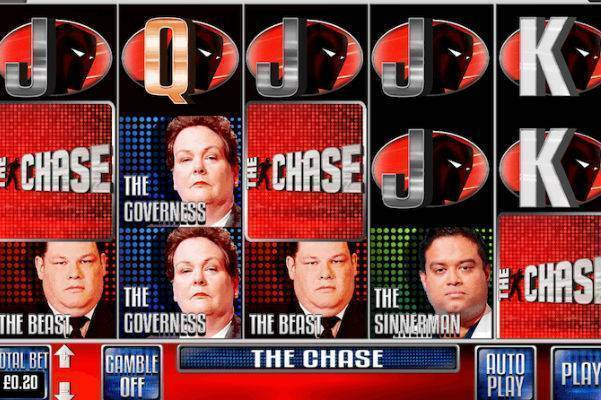 For those who love the TV quiz shows, and The Chase in particular, The Chase slot is a no brainer. It isn’t particularly cute-looking, but those who enjoy the show will know that’s not what it’s about. Featuring the Chasers as the main symbols, and their usual uncompromising stares, this game has a wry British humour about it. The gameplay itself can be quite exciting with the Head to Head and the Final Chase bonus rounds where additional cash prizes can be won. 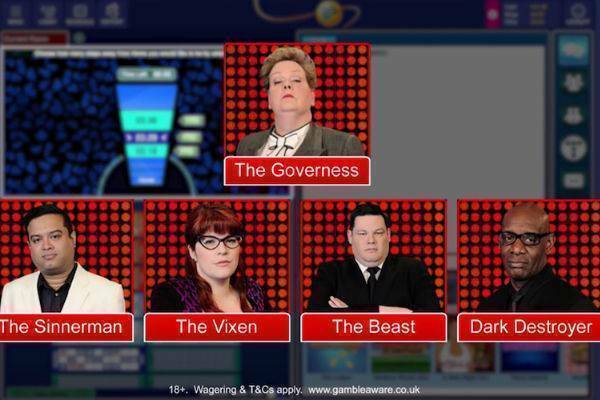 If you like slots based on game shows, then make sure you give The Chase a try!